I still prefer cante from a particular time period, from the early 20th century to the 1970s, because it’s possible to get to know virtually all artists in those seventy years through the lyrics in their cantes. 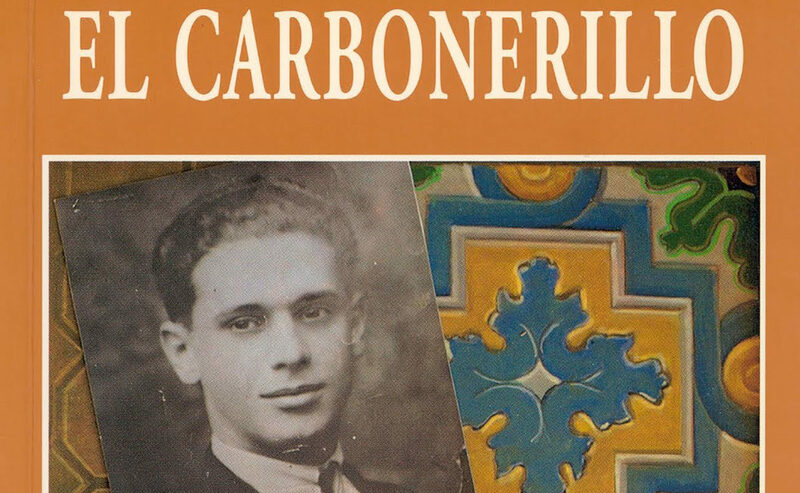 El Carbonerillo (Seville, 1906-1937), used to tell his life story in his fandangos, although we must point out that not all the lyrics he sang were written by him, but also by authors who knew him well, knew how he felt and how he lived his life, sometimes bitterly, others happily. Topics such as his mother, love and heartbreak were very important for this cantaor. His mother, Rocío García Cuesta, born in Seville, was a tough woman who raised several children in difficult times. She only had two male children, El Carbonerillo (Manuel Vega García) and Isidoro, who never had much to do with cante. Rocío felt special love for his Manolito, a cute kid who had been born with the gift of cante. Anita, one of the two sisters of Carbonerillo that I met, told be that he already sang when he was 5 years old, and when he was 7 he would entertain the workers at the Pickman textile factory (where she and her other two sisters worked) singing from the top of a table. At lunchtime, they’d put him on a table to sing fandangos de El Colorao de La Macarena, or some guajira by Manuel Escacena. El Carbonero was soon acquainted with heartbreak, when he was a teenager, something quite common in that period of our lives. He had a girlfriend who soon dumped him and hooked up with a widower, according to the testimony of people I was able to talk when I was writing a biography of this cantaor from Seville. That heartbreak took out of his chest the most harrowing fandangos and the most desperate soleares. Y te echaste a reír. When I saw you were so miserable. I can imagine this great cantaor crying for that woman, and she laughing at him in his presence, as it happened more than once. In one of those occasions he even slapped her in public, in a bar, according to the testimony of people in his circle whom I met. las coplas de La Sarneta. Pacuco, born in Seville, was a boyfriend of La Sarneta de Jerez, who also lost his head for this beautiful artist, to the point that he slashed his own throat with a barber’s razor, although he survived and sang with his voice badly damaged by his injury. El Cuco, uncle of Caracol (brother of his father) did the same thing because he fell madly in love with Pastora Imperio, who corresponded at first, but then rejected him, leaving him ruined and crazy. In a state of insanity, one day he went to a hardware store, bought a barber’s razor and cut his head off with a deep slash. Every year I get dozens of new cante albums and I seldom hear new verses which speak about the artists’s lives, or about their feelings. These are very well-produced albums, with excellent sound and all kinds of technical wizardry, yet they feel empty.